I'm not good on interdutions but here goes nothing. 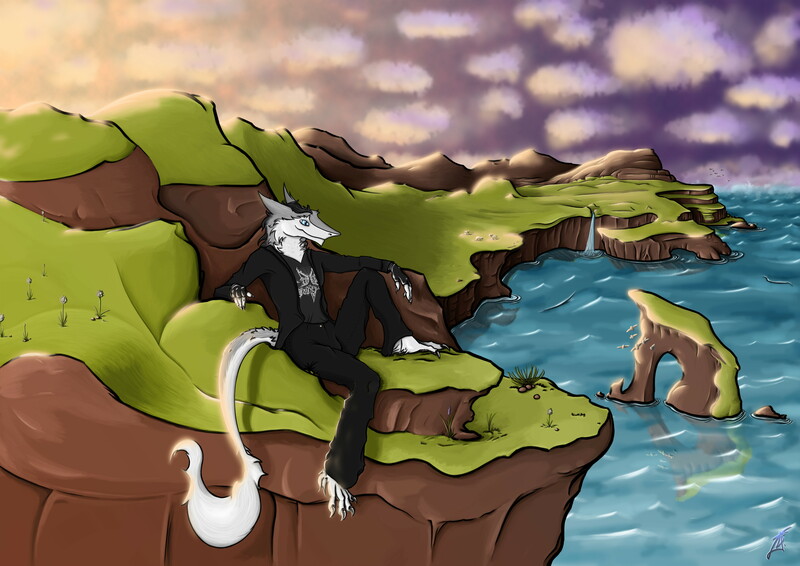 Hello i'm Yuri Jaxis wolfen, i'm a gray and blue wolf from WV, Yuri is my first fursona and he reflects on my life and parts of my life that i wish i could be, both me and Yuri are Bi alto Yuri is more openly to say that he is more than me. Yuri has a long and dark back story along with me. Me personly i'm a privet contractor that builds coustom log homes and an artist and gamer. I love to be outside in the warm light of the sun.